Lately, I've been thinking about paying more attention to the bigger picture and making room for the people and things that really matter. For Marmalade Moon this mindset means building blocks of really useful tutorials and guides for harnessing your creativity with your iPhone or iPad. To make room for this development, I'll be slowing down my blogging pace, publishing new posts once a week, on Mondays. Just now I'm writing a tutorial for how to organise your digital iPhone photos and I've only just put together a new guide for Top Apps for Photo Effects, Filters and Post Processing. Hope you enjoy it! Some other things in the works are new iPhoneography art shows with student work from my recent courses and interviews with developers of exciting apps for mobile photography and art. 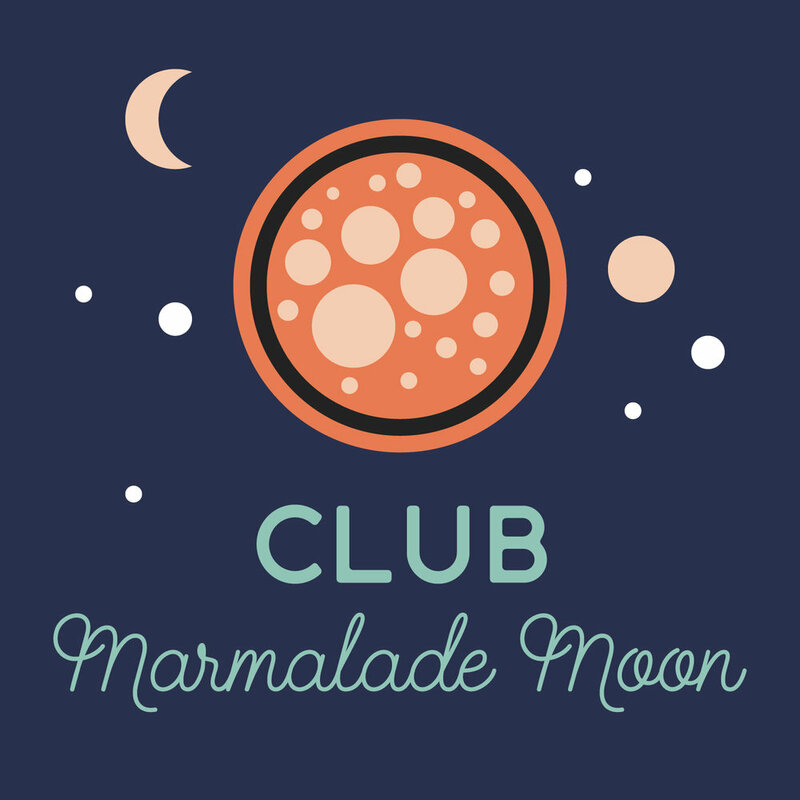 I'm delighted to introduce free promo codes for interesting art and photo apps as a new club perk for members of Club Marmalade Moon! Promo codes are handed out on a first come, first serve basis and they have been going like hotcakes! When I got my first computer, it was my personal digital space. After a day at work, I would finally get home to my computer, my operating system - a digital space that could be anything I wanted it to be. For me, it was wonderful to not have to have Excel installed at home. Or Windows. Or Solitaire. Oh and WordPerfect! My computer was a place where I learned new things. A playground. A digital canvas. A wonderful world of writing and painting and connecting with people. A few years on I began freelancing and soon I started my own company, Marmalade Moon. All of a sudden both my work and many of my hobbies were on the same computer. In the same environment. And gradually, my once so creative and peaceful digital canvas became a stressful environment flooded with e-mail, instant messaging, social media, the distractions of the internet and unread RSS feed items... Who thought of that idea anyway? "Unread items"? As though reading articles you're interested in, is a list of obligations and not a pleasure? And yes of course it spills over into how you feel about it! So here I was, in a wonderfully convenient and portable digital space that blended work with leisure, but finding myself feeling overwhelmed, unenthusiastic and stressed out. And I knew that it wasn't the tool itself, my computer, it was how I was using it. There is a reason why we travel during our holidays! A change of scenery and having new experiences induces new perspectives and stirs the creative spirits. And here I was stuck in a stressful routine, spending too much time in the same digital environment. I needed to reinvent my digital life. So I decided to create some new habits for my digital life. To make changes to how and when I browse the web, to clean up my RSS-feeds, my mail and to turn things on and off. To reduce the stream of information. To log off to find the time, inspiration and attention for the things I value most. To focus on being creative and connecting. To find my flow. And to return to my laptop to express myself. The next thing I did was to get an iPhone. This Christmas I found the time to explore it and to create a delightful, personal digital space on my iPhone. This really got me excited and renewed my interest in my laptop too! It turned out to be a really fabulous move for me, to have a digital space that had absolutely no work on it! Sometimes, it's good to take a step back from everything. To get some perspective and re-focus. If you spend a lot of time in a digital environment, I think it's important to now and then take a look at how it's working for you. Reinventing my digital life has been so refreshing for me, that it'll be one of the topics for my blog. With writings about creating a personal digital space, I hope to bring some inspiration to your digital life.